The phone booth exists as a fond but distant memory for some people, and as a strange and dysfunctional waste of space for many more. Ariana Kelly approaches the phone booth as an entity that embodies diverse attitudes about privacy, freedom, power, sanctuary, and communication in its various forms all around the world. 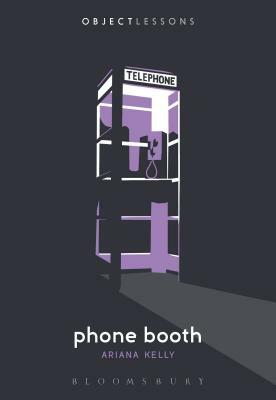 Through portrayals of phone booths in literature, film, personal narrative, philosophy, and religion, Phone Booth offers a definitive account of an object on the cusp of obsolescence. Ariana Kelly is a freelance writer and educator. She teaches English literature and comparative religion at the Harvard-Westlake School in Los Angeles, California, USA, and has written for, among other publications, The L.A. Review of Books and Salon.